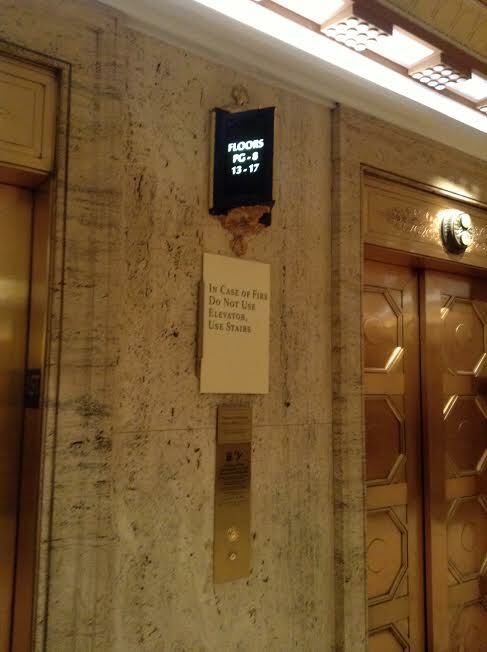 TL;DR: The historic Palmer House Hilton elevators are terribly slow because of bad strategic design, not mechanical issues or overcrowding. Midwest Political Science Association’s annual meeting–the largest gathering of political scientists–takes place at the historic* Palmer House Hilton each year. While the venue is nice, the elevator system is horrible. And with gatherings on the first eight floors, the routine gets old really fast. Interestingly, though, the delays are not the result of an old elevator system or too many political scientists moving at once. ** Rather, the problem is shoddy strategic thinking. Elevators on this floor go from the ground floor to the 12th floor. These go from the ground floor to the eighth floor or the 18th floor to the 23rd floor. These go from the ground floor to the eighth floor and the 13th floor to the 17th. Now suppose you are on the ground level want to go to the 7th floor. What’s the fastest way to get there? For most elevator systems, you press a single button. The system figures out which elevator will most efficiently take you there and dispatches that elevator to the ground level. 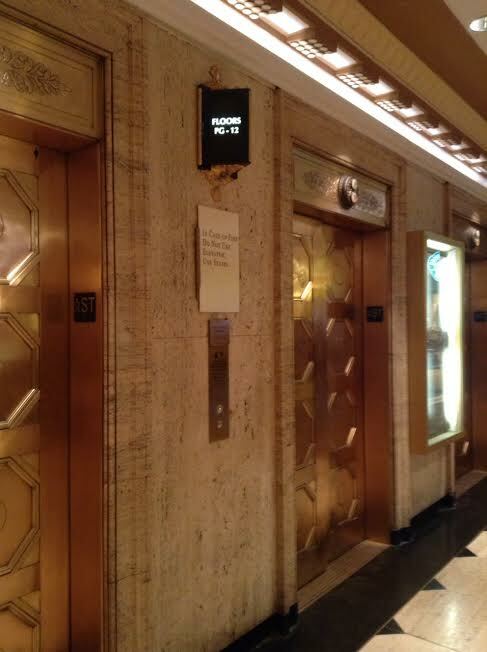 But historic Palmer House Hilton’s elevators are not a normal system. Each wall runs independent of one another with three separate buttons to press. So if you really want to get to the seventh floor as fast as possible, you have to press all three–after all, you do not know which of the three systems will most quickly deliver an elevator to your position. Unfortunately, this has a pernicious effect. 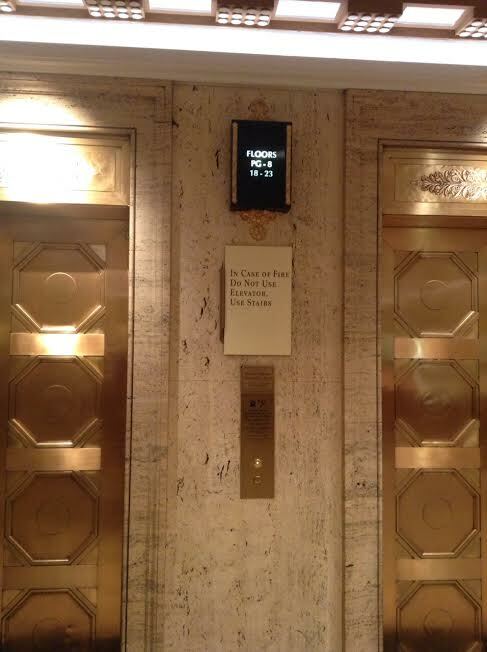 Once the first elevator arrives, the call order to the other two systems does not cancel. Thus, they will both (eventually) send an elevator to that floor. Often times, this means an elevator wastes a trip by going to the floor and picking no one up. In turn, people on other floors waiting for that elevator suffer some unnecessary delay. This is why (1) the elevator system takes forever and (2) you often stop at various floors and pick up no one. We would all be better off if people limited their choice to a single system, but a political scientist running late to his or her next panel does not care about efficiency. Given the floor restrictions for the elevators, the best solution I can think of would be to install an elevator system where you press the button of the floor you want outside the elevator, and the system chooses which to send from the three walls. This would be mildly inconvenient but would stop all the unnecessary elevator movements. *Why is it historic? I have no clue. But everyone says it is. **The latter undoubtedly contributes to the problem, however. The Times Square Marriot has a system like you suggest; you enter your floor and it tells you which elevator to use. It’s a good idea, but the system they use is easily overwhelmed. After too many people input a destination, the system basically crashes. I’ve also wondered why there is no option within an elevator car (that I have seen) to cancel a floor selection.